We all know it. Motivation from in front with a carrot is much better than from behind with a whip. The same principle applies to parents who want to instill in their children a love of reading. Elementary school librarian, Paula Ruesch recognized that principle and started a successful summer book camp for 2nd to 7th graders. Her motivation was the number of students who returned to school in the fall having never read a single book during summer break. Her goal was to make reading extra fun and help children avoid the “summer slide.” The summer slide is the academic backslide that children can experience after a summer of a little too much mental unwinding. 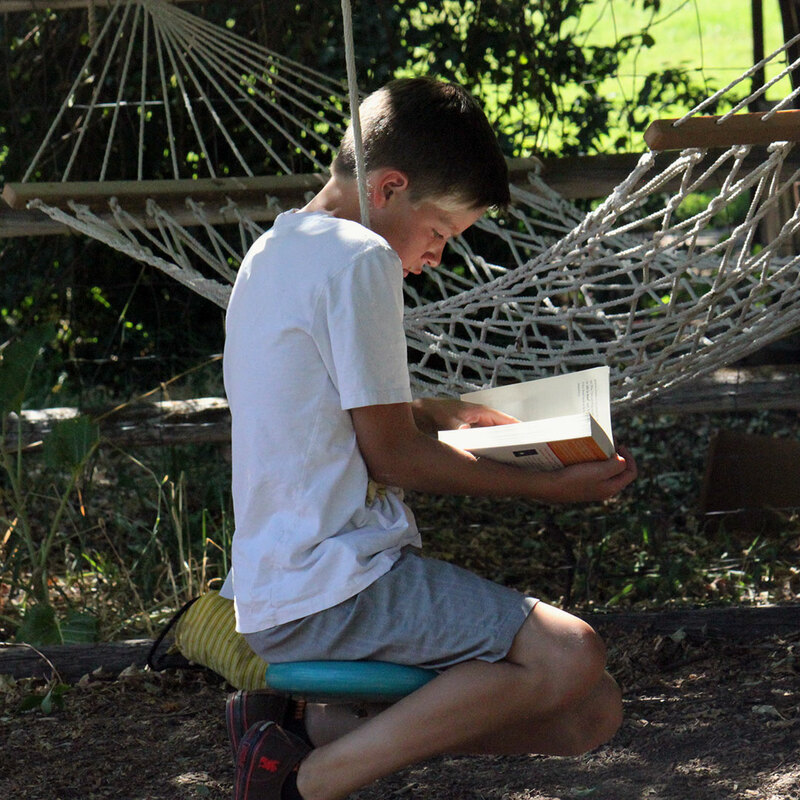 Research indicates that children who read four to six books during the summer are able to avoid the summer slide in reading. With that in mind, helping children read five books in five weeks became the goal of the summer book camp. Even without the demands of school, that was a tall order for most children. For an hour each week, the children participated in fun activities that reinforced what they were discovering in their books and helped make reading a social activity. But even that wasn’t enough to get some of the children over the mental wall that a book can sometimes be for a young reader who hasn’t yet developed a love of reading. That’s when the idea of a Reading Incentive Kit™ came to Paula. She called it RIK™ for short. Inside each RIK is a series of numbered and labeled packages containing surprises and a “think piece” related to the story. The think piece helps the reader “think” about what they just read or what they will read. The reader opens the packages at requested intervals throughout the story. As readers progress through the book, they continue to open packages, which keeps them motivated, increases comprehension, and makes reading extra fun. Paula packaged the initial RIK kits for her book camp attendees in brown paper lunch sacks. But despite its humble presentation, the Reading Incentive Kit was a hit with the children. Parents took notice of the fact that their reluctant readers were now devouring a book in a day or two, and their comprehension was going through the roof. Those same parents (and grandparents) started asking where they could get more kits. Paula continued to create more kits, which she has tested and refined in the laboratory of her RIK Book Camp. For the last four years a continual stream of success stories has come back to Paula. 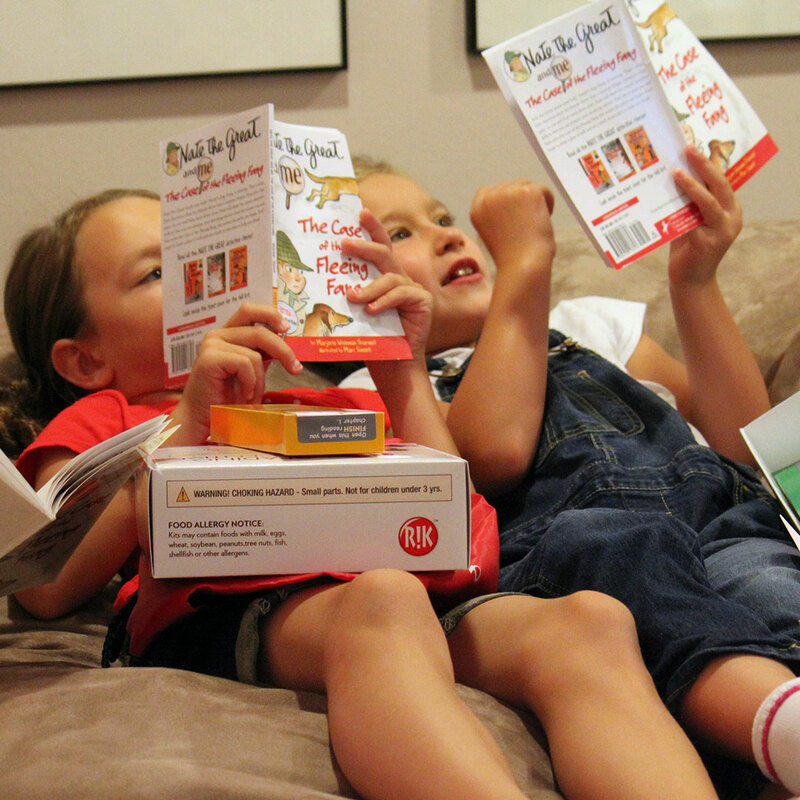 Children who were hesitant to read are now confident and happy readers. Parents and children alike have thanked Paula for the start she gave them in developing a love of reading. Children everywhere can now benefit year round by subscribing to RIK-a-Month and receive a kit with its accompanying book each month. Subscriptions are available for ages 5-8, ages 8-10, and ages 10-13. Daniel Ruesch loves reading children's literature, writing, hanging out with his family, and in his spare time runs Daniel Ruesch Design, Inc., a graphic design firm specializing in corporate design, books, and web graphics.